Versatility, passion and innovation are the hallmarks of American conductor Janna Hymes. Renowned for her inspiring performances, musical depth and energetic presence both on and off the podium, she has developed a reputation as an exciting, detailed communicator. Praised by the press as “an architect, a builder in sound, a conductor with an overall view who never misses details”, Ms. Hymes has just been announced as the new music director for Indiana’s Carmel Symphony Orchestra (CSO). Music Director of the Williamsburg Symphony Orchestra (WSO) since 2004, Ms. Hymes’s contract was unanimously extended through the 2018-19 season in May 2016, ensuring that she remains at the helm through the orchestra’s 35th anniversary. A popular guest conductor, Hymes continues to expand her relationships with orchestras nationwide. In addition to her first season with the CSO, performances of note this 2017-18 season include WSO premieres of works by Adam Shoenberg, Thomas Ades and Kevin Puts, and a performance of Beethoven’s 9th symphony with a 250-member chorus. Ms. Hymes will also guest with The Venice Symphony (FL). Recent performance highlights include guest engagements with the Roanoke Symphony Orchestra (VA), the Portland Symphony Orchestra (ME), and the Carmel Symphony Orchestra (IN); serving as Artist in Residence at Colby College; leading the Williamsburg Symphony on its first international tour; conducting the Maine Pro Music Orchestra as part of the festivities celebrating the town of Rockport, Maine’s 125th anniversary, and opening the Macon Symphony Orchestra’s season. Among the orchestras that Ms. Hymes has guested with are the Houston, Indianapolis, Oregon, North Carolina, New Hampshire, Hartford (CT), Madison (WI), Florida West Coast, Stamford, Harrisburg (PA), Spokane (WA), Richmond (VA), Springfield (MA), Chappaqua Chamber (NY), Bangor (ME) and Omaha symphony orchestras, as well as the San Francisco Women’s Philharmonic, Cincinnati Chamber Orchestra and the Florida Orchestra. 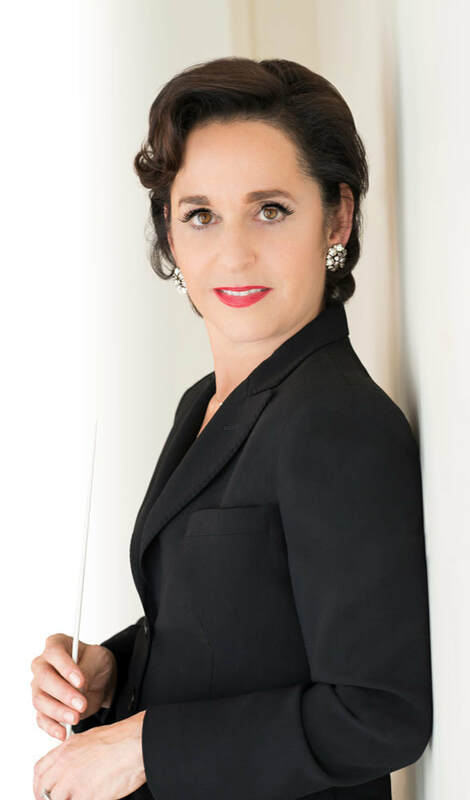 Internationally, she has led the Costa Rica National Symphony (where she has been a frequent guest) the Delta Ensemble of Holland (where she has toured Amsterdam, Rotterdam and The Hague), the National Orchestre de Lyon, Besancon Chamber Orchestra and the Orquesta Sinfonica del Estado de Mexico. Founder and Music Director of the Maine Pro Musica Orchestra, a professional orchestra in MidCoast Maine launched in 2008, Ms. Hyme’s previous posts include Music Director of the Maine Grand Opera, Associate Conductor of the Indianapolis Symphony, Resident Conductor of the Charlotte Symphony and Music Director of the Columbus Women’s Orchestra, the Cincinnati Composers’ Guild and the I Solisti Cincinnati Chamber Orchestra. She also served as Assistant Conductor of the Canton Symphony Orchestra (OH) and the Teatro Massimo Opera House in Palermo, Italy, and is a frequent guest of the Messiaen Academy in Zwolle, Holland. In addition to her professional conducting career, Ms. Hymes has served as a regular teacher for the League of American Orchestras’ conducting workshops. A frequent guest speaker, and regularly sought out as an adjudicator, she has served on the music faculty of the Worcester Polytechnic Institute, University of Akron and Butler University in Indianapolis.